Technical Car Experts Answers everything you need: How to replace IAT sensor on 2007 dodge durango? 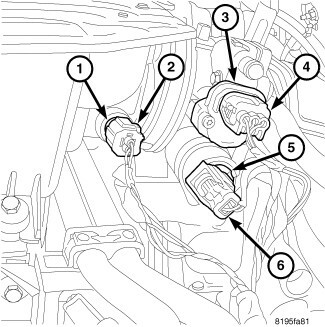 The intake manifold air temperature (IAT) sensor (1) is located near the throttle body. 1. Disconnect electrical connector (2) from IAT sensor. 2. Clean dirt from sensor base. 3. Gently lift on small plastic release tab (3) and rotate sensor about 1/4 turn counter-clockwise for removal. 4. Check condition of sensor o-ring (2). 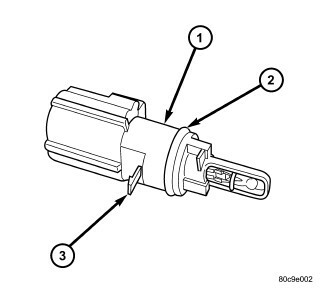 See image below for sensor removal. Labels: dodge durango IAT sensor replacing procedure, How to replace IAT sensor on 2007 dodge durango, IAT sensor removal on dodge.